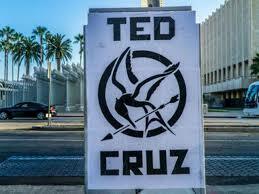 Ted Cruz and the Hunger Games mockingjay. “The big question for us ‘is the republic actually dead?’ and is Obama just the first caesar?” the anonymous street artist told the site. “The welfare state and the Kardashians are the 21st century version of bread and circuses … Is this a democratic republic, or just a Washington D.C. TV show that is pretending to be one, while the Federal government laughs at the plebes. 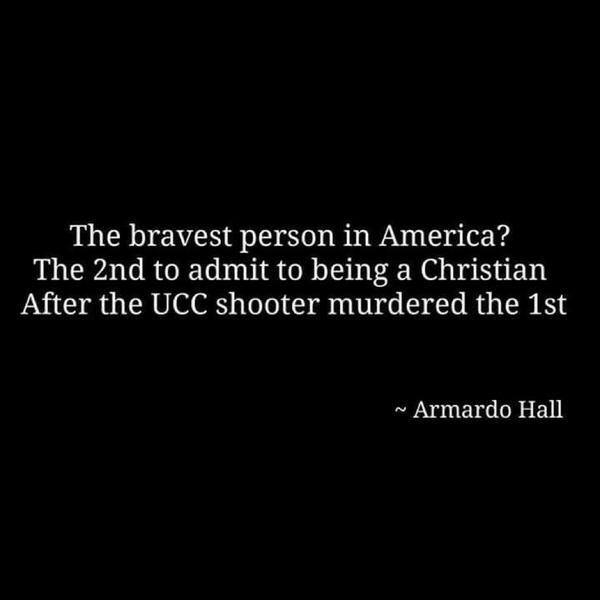 Do you realize that if the #UCC students in Oregon had not bitterly clung to their religion, they would be alive today? And yet, these are the very people that our President looks down upon. There you have it: Obama says, give up your religion and you get to live. It exists, but it’s a hoax. It’s not a hoax, but it doesn’t show that. It shows that, but who cares. Ten dead, 7 injured at Umpqua Community College, Roseburg, Oregon. I couldn’t help but remember another shooting on October 1st, in Pearl MS. Stopped by a good guy with a gun. (Originally posted 12/17/12). 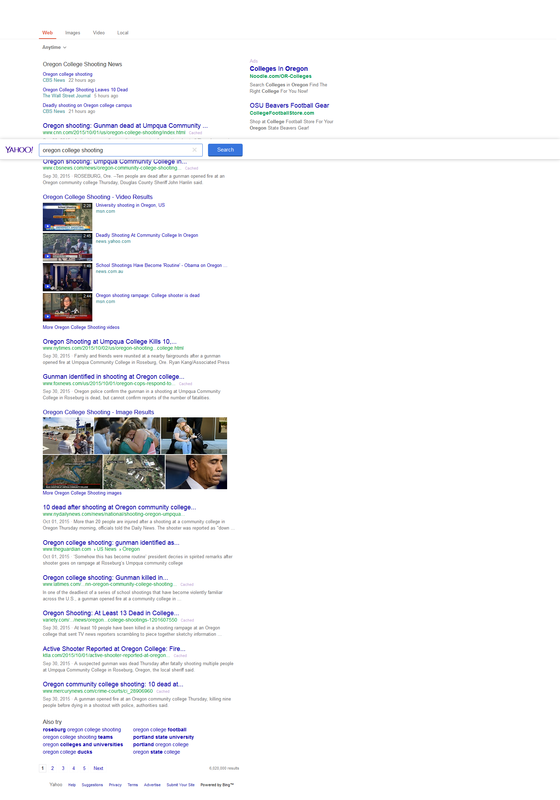 UPDATE: I noticed that Yahoo Search shows the #UCC occuring on 9/30/15. Here is the screengrab: Just a quick FYI for my fellow conspiracy theorists. On October 1, 1997 at Pearl High School in Pearl, MS, 16-year-old Luke Woodham killed two students and injured seven others. Before the shooting at began, Woodham stabbed his mother to death in their home as she was about to begin her morning jog. The shootings shocked the country. It was said many times, if this can happen in Pearl, it can happen anywhere. Unfortunately, over the years, this statement has proven to be true. The shootings at Pearl High School was the first of the modern-day rash of school shootings. But it could have been much worse. But for the actions of vice-principal Joel Myrick, and the grace of God, it would have been. The moment Joel Myrick heard shots, he ran to his pickup truck, removed his Colt .45 from its case, removed ammo from another case, loaded his gun and went looking for the killer. He could have confronted Woodham much sooner, but for the fact that Federal law prohibits anyone but a police officer from having a gun in or near a school. “I’ve always kept a gun in the truck just in case something like this ever happened,” said Myrick. By the time he confronted the Woodham, 2 students were murdered, and 7 others were wounded. Woodham was trying to make his get-away to the nearby Middle School to continue the carnage. Woodham’s lever-action 30-30 is an effective deer rifle. But it takes time to chamber each round, point, aim and fire. Precious time. Time that Joel Myrick could have used to stop the shootings, but for gun laws. Myrick foiled Woodham’s plan. He saw the killer fleeing and positioned himself. Woodham, seeing the gun pointed at his head, crashed the car. Myrick approached the killer and confronted him. “Here was this monster killing kids in my school, and the minute I put a gun to his head he was a kid again,” Myrick said. Myrick’s actions stopped the shootings and saved lives. But the MSM doesn’t talk much about him, do they? President Obama says it’s time to have some gun control talk. Well, OK. Let’s just remember to talk about Joel Myrick. A Principal and his gun; Wikipedia.